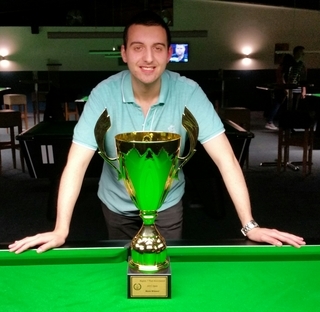 Congratulations to our 2015 Mens Champion Giuseppe D’Imperio who defeated Steve Petty in the final 6-4. Congratulations to our 2015 Ladies Champion Barbara Taylor who defeated Jackie Baker in the final 6-1. A big thank you to everyone who entered and to Malcolm & Loz at Mavericks for their great tables and hospitality. Also thank you to Rich Cottis for running the event with Barbara Taylor. 27th SEPTEMBER. SPIDERS REST. Worthing. BN11 3QA. 01903 214636. See flyer for details. 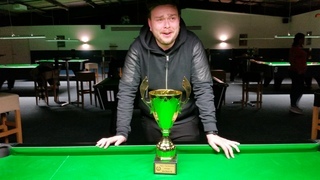 A Special mention to Giuseppe D'Imperio who won all 13 of his matches and only dropped 1 frame ! Also a big thank you to Lorraine and Malcolm for being such good hosts over the weekend a highly recommended venue for future Regional events. Finally, a massive thank you must go to our Organiser Rich Cottis (Sussex) who help us run the events, and all the players who took part in the competitions, thank you for your support to the event. U16 and Ladies events – 15th August 2015. U23 and Seniors events – 16th August 2015. Download links: Flyer and Entry Form. 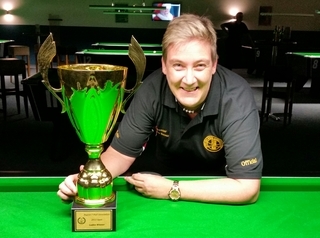 Congratulation to Jo Kent and Stacey Hancock as part of the World Ladies Team Champion with Northern Ireland. Lorraine Fivey World Championship semi Finalist, Michael Hope World Champion semi Finalist, Nigel Clarke World Champion runner up, Luke Bowry World Champion U23 Runner Up. Congratulations to Barbara Taylor for winning and Katie Martyn for being runner up. It is with greatest regret that the Region has to announce the cancellation of 2015 Region 7 Tour. This is due to lack of interest from players. With a bit more forward planning, we hope to have the tour up and running again in 2016. We sincerely apologise to the players who were genuinely interested and have given us your support this year. We also like to thank you for all the venues who have responded to us so promptly about hosting our venue, i.e. Maverick, Jordans and Racks. Again, apologise for the cancellation. How should I put this, this weekend has been a phenomenal weekend for Region 7, not only did our individual players who qualified for the England Teams but also the teams who fought to the end and won their National Championship titles. Read on for the full Region 7 at the 2014 National Events report. Its basically the same address but as its new anyone who was registered before will have to reregister to post or see posts. Congratulations go Ben Welfare from Sussex, who got through from the Junior Trial recently, and now qualified to join the England Junior Team squad. Well done Ben and good luck for season 2015!